Rheumatic diseases can be inflammatory or non-inflammatory and can affect joints, muscles, tendons, bursae, blood vessels and bones. In addition, some conditions may compromise some vital organs such as heart, lung, liver, kidney, etc.. Thus, some may be more serious than others. 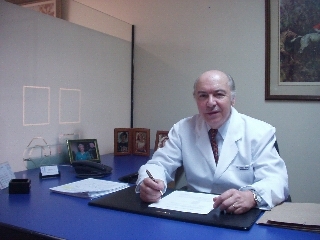 It is therefore necessary to be aware of the diagnosis and follow the specialists recommendations (rheumatologist). Among non-inflammatory diseases, the most common is osteoarthritis. Among the most important are Rheumatoid Arthritis, Psoriatic Arthropathy, Sjogren’s Syndrome, Systemic llupus Erythematosus (SLE), Gout, Pseudogout (Chondrocalcinosis), Polymyalgia Rheumatica and other collagen diseases. Among the non-articular rheumatism (soft tissue) diseases we have bursitis, tendonitis, fibromyalgia, etc.. In recent times, I have detected the increase of Joint Hypermobility Syndrome, ( previously known as JHS, but know we agreed that it is called Ehlers-Danlos Syndrome Hypermobile type, EDSh ), one of the most common causes of pain in rheumatic patients, and it is rarely diagnosed. EDSh is often associated with Dysautonomia (Chronic Fatigue, dizzyness and syncope) and symptoms resulting from the involvement of other organs due to the weakness of the tissues. A rheumatologist is a physician who besides being a specialist in Internal Medicine, has conducted a two-year special training in Rheumatology. His experience includes the diagnosis and treatment of arthritis, osteoarthritis and other diseases of the muscle - skeletal. These specialists also treat spinal problems and osteoporosis.